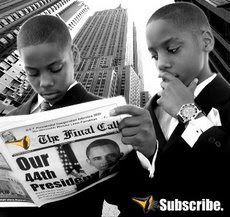 CHICAGO (FinalCall.com) - The Honorable Minister Louis Farrakhan has placed tremendous importance on Black survival during this critical time in recent especially passionate and sober messages. 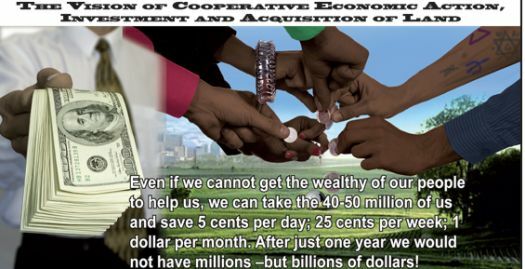 He continued to emphasize critical points about unity and immediate cooperative economic action, investment and acquisition of land in a Nov. 3 interview with legendary radio talk show host Cliff Kelley on WVON 1690 AM. The most recent message followed similar guidance offered in an Oct. 9 Holy Day of Atonement message in Philadelphia and part two delivered Oct. 16 in Chicago to audiences viewing worldwide via the Internet. “We have more millionaires, and a few billionaires and more members of the Black middle class, yet the masses of our people are slipping further and further behind and are deeper and deeper in the valley of poverty and want,” said Min. Farrakhan. He repeated that the Black nation is at war for its survival, and his desire was to alert and educate the people to be aware of the time, and what must be done. 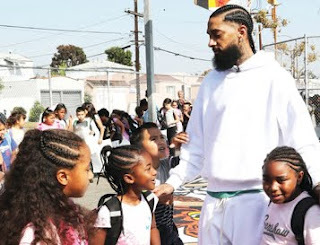 “If we as a people are not mentally and emotionally and intellectually ready to fight the war for our survival, then our ignorance of the time will be the means of our own destruction,” Min. 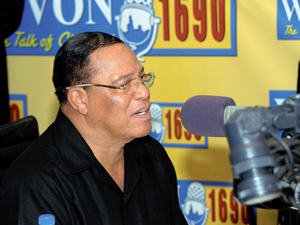 Farrakhan said over the airwaves of Chicago’s Black talk radio station and to viewers tuned in to a streaming online webcast. 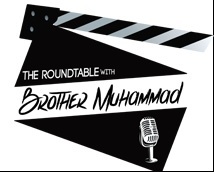 During Minister Farrakhan’s appearance the week before on The Cliff Kelley Show, he spoke in detail about the assassination of his brother and friend, Libyan leader Col. Muammar Gadhafi, but told listeners plans for the survival of the Black nation in America—the people of God’s Promise—are never out of his mind. Mr. Kelley, aware of the emotional toll Col. Gadhafi’s death had on the Minister, remarked that he was concerned. The Minister said during the Oct. 25 appearance, he reflected God’s anger and destructive power, and it came through his words. He told Mr. Kelley and listeners Nov. 3 that he was feeling much better, even though the thoughts and memories of his slain comrade remained with him. “God is The Beneficent, He is The Merciful, He is the Oft-returning to Mercy and He is The Forgiving, and that’s the side of God that we always hope to see, but there is another face to God and that is the face of His awesome power to destroy—in the twinkling of an eye—His enemies,” said Min. Farrakhan. “All of us are made in the image and likeness of God so there’s a time when we can be peaceful, but there is also a time when the peaceful man can go to war and that is the prophets of God. They were peaceful men, but they were warriors too, and that’s who you’re looking at,” the Minister said Nov. 3. The Minister delivered troubling stats regarding conditions in America, with over 49 million Americans considered “functional illiterates” who can read only at a fifth grade level, millions suffering in poverty, homelessness and lack of food, 46 million lacking adequate health insurance, soldiers returning from multiple tours of duty in Iraq and Afghanistan to unemployment at home. This high-level dissatisfaction at home has created conditions in which people are rising against government and Occupy Wall Street movements are growing all over the country. The militarization of police nationwide is being done for a reason, the Minister noted. During an appearance on WVON the week before, the Minister warned militia members would show up if protesters were brutalized and injured. Shortly after he spoke, it was reported that Phoenix militiamen showed up at an Occupy Phoenix rally to protect protesters. There was also a report of a man armed with an AK-47 automatic rifle at an Occupy Atlanta protest. “U.S. Border Guards made an appearance at the Occupy Phoenix armed with AR-15 rifles to protect demonstrators’ legitimate right to peaceful protest. The privately funded volunteers fronted by Patrol Leader, J.T. Ready wore military style combat fatigues and stated that they were there to exercise their Second Amendment right so that protesters could exercise their First Amendment right,” reported The Economic Voice, an online publication. Other blogs and websites noted the development, some calling it strange bedfellows, with Occupy protestors called liberals and a militia accused of being a White supremacist group together. “We were ready to make arrests if needed, but these people complied with our orders,” the Times-Union quoted a State Police official as saying. “However, he added that State Police supported the defiant posture of Albany police leaders to hold off making arrests for the low-level offense of trespassing, in part because of concern it could incite a riot or draw thousands of protesters in a backlash that could endanger police and the public. ‘We don’t have those resources, and these people were not causing trouble,’ the official said. 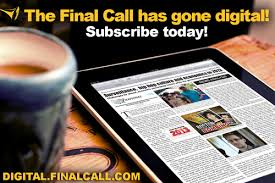 ‘The bottom line is the police know policing, not the governor and not the mayor,’ ” the Times-Union reported. In Atlanta, police carried out a crackdown on Occupy Atlanta that divided civil rights leaders and was ordered by Mayor Kasim Reed. (See related story page 8.) While the mayor said a man carrying an AK-47 rifle was one reason for dispersing protestors, the Buckhead Patch, a local blog, reported the man could not be arrested because the weapon was not concealed. His intent, according to reports, was to protect protestors. Meanwhile a magistrate in Memphis refused to sign arrest warrants, when police locked up Occupy Nashville protestors charging them with violating a curfew imposed to drive demonstrators out. “Tennessee officials agreed Monday (Oct. 31) to stop enforcing a new curfew used to dislodge Occupy Nashville protesters from the grounds around the Capitol. The protesters went to federal court seeking a temporary restraining order against Gov. Bill Haslam, arguing the curfew and arrests of dozens of supporters violated their rights to free speech and freedom of assembly,” the Associated Press reported. In California, Occupy Oakland was particularly volatile, with war vets injured by police, protest marches, a shutdown of the Oakland Port and calls for a general strike. 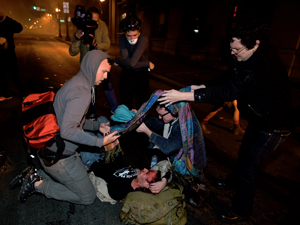 “A second Iraq war veteran has suffered serious injuries after clashes between police and Occupy movement protesters in Oakland,” the UK-based Guardian newspaper reported Nov. 4. 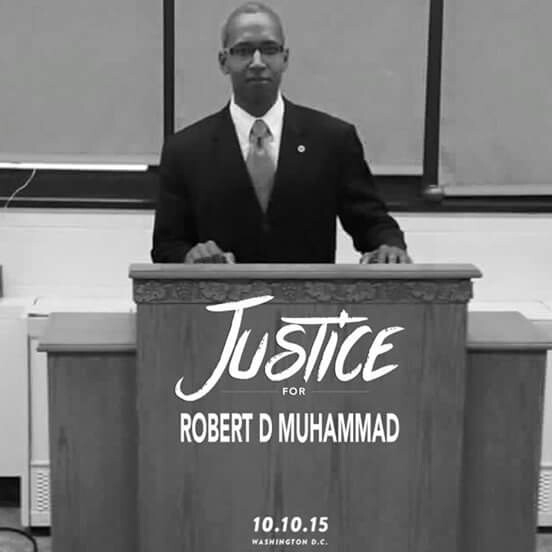 “Please consider this great man that walked among us and gave us guidance for this time. Unfortunately, we were not listening. I hope today in this short time that is left, in this dying economy of America, that we will listen,” said Min. Farrakhan. “It was 20 million at that time, but we are between 40 and 50 million now. So we now have to get up from where we are and with right guidance and the will to work to produce the things that we are begging others to produce for us, we could then do that which would earn us the respect of America and the respect of the entire world,” he added. 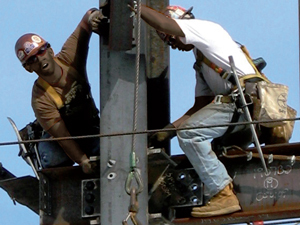 No jobs bill from President Barack H. Obama nor subsidies from the U.S. government will save Black people, Min. Farrakhan stressed. It is going to take hard work, unity and pooling financial resources of wealthy Black athletes and entertainers along with the nickels, dimes and quarters of willing Black people across the country, he said. The first order of business is the acquisition of land, said Min. Farrakhan. 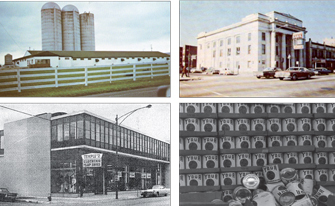 “We worked like hell in the (Mississippi) Delta to make others rich with the cotton that we picked and produced! Why shouldn’t we own the Delta? It belongs to us,” Min. Farrakhan continued. Calling the former owner of Black Entertainment Television and the NBA’s Charlotte Bobcats, billionaire Bob Johnson “a man with tremendous vision,” Minister Farrakhan said a man like the entrepreneur with business acumen and contacts, could bring together Black athletes in the NBA and NFL as well as Black entertainers to begin to create jobs and economic entities in the Black community. God wants to replace the rule of the Caucasian because he has not been a good steward of the land, its raw materials and the people on the land, said the Minister. 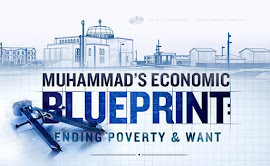 Heeding the advice of the Honorable Elijah Muhammad, who said “study the White man,” the Minister said the Jewish community has been the most successful of the Caucasian people. They gained economic power which led to establishment of political power and ultimately, enormous influence. This is the opposite of what Black people have done and as a result, collectively, Black people are weak, he said. “You’re trying to gain political power without economic strength and therefore you have no weight to push the engine for your own salvation,” Min. Farrakhan continued. In 1860, cotton was to America and the Jews what oil is presently to the Arab world. It is through the cultivation of cotton that Jewish plantation owners then sold to their brothers up North that Jews created garments leading to jobs. Instead of preying on their own communities, why not become protectors and servants of the community, the Minister said to members of street organizations. Gang members can carve out territories and instead of selling drugs and death, could sell goods and services using the backpack model made famous by Jewish peddlers. 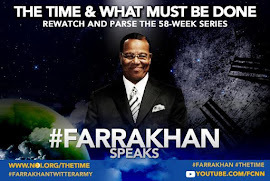 “You that are killing each other and delighting that you smoked your brother—let me tell you something brothers and sisters—if you don’t take this plan and let’s get busy doing something constructive for ourselves—I am telling you what’s about to go down.